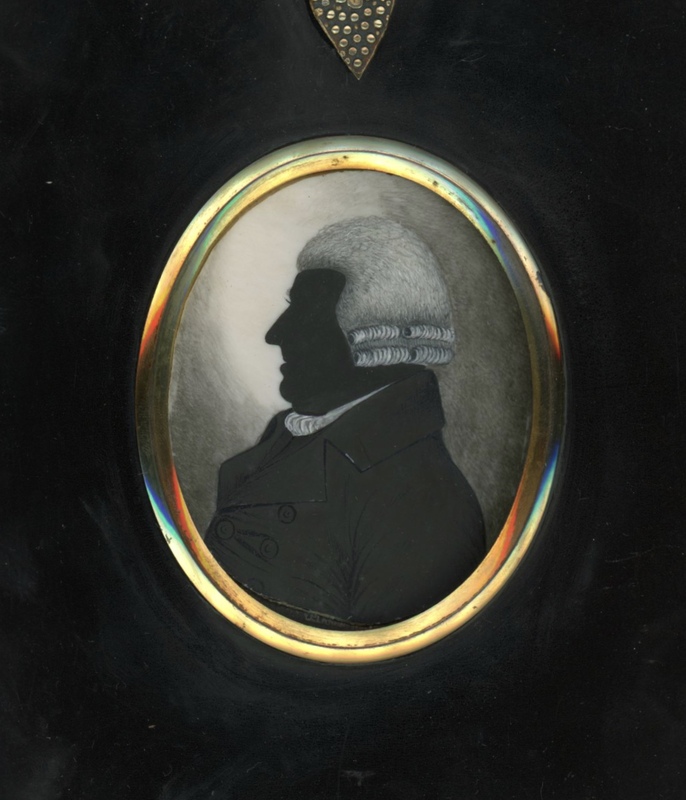 This distinctive silhouette has been painted by T. London of Worcester and depicts an older gentleman whose name and story has sadly been lost to history. He is wearing a traditional coat with large buttons and deep revers over a white stock. 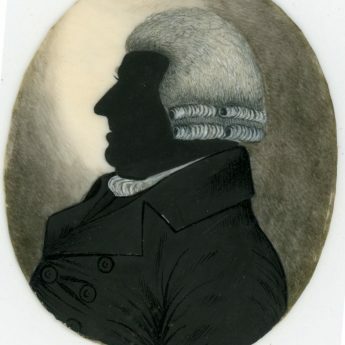 His powdered bob-wig with its double row of curls (known as ‘bangs’) is of a style that was popular, especially with older gentlemen, for several decades during the latter part of the eighteenth century. 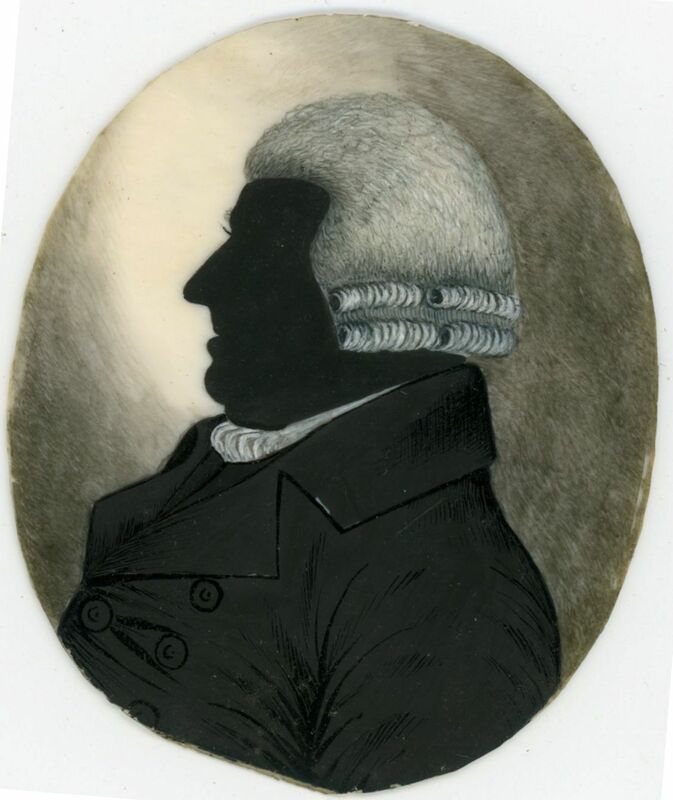 The silhouette is painted on ivory in black and shades of grey with a hatched background. It is housed in the original papier-mâché frame with an attractive strawberry hanger and is backed with the artist’s complete (though broken) trade label (no. 2) used whilst he was working from his own house at 28 Cross, Worcester. Interestingly, this house is still standing and, although it has later additions and is currently home to a well-known betting outlet on the ground floor, is Grade II listed. 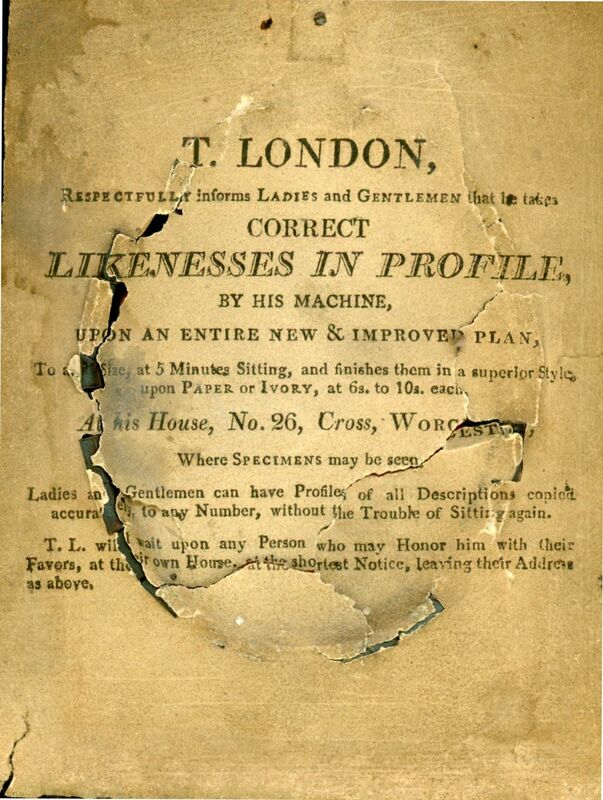 T. London is notable as one of the few artists painting profiles on larger pieces of ivory for framing. 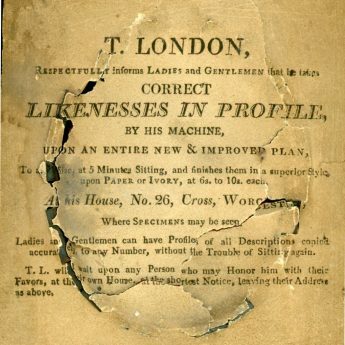 Nothing is known about his background and examples of his work are relatively rare.